Send Flowers to Philippines: Looking for a flower delivery in Philippines on Valentine’s day? We have a recommended flower shop online that you can access. Of course, Valentine’s day is a big deal occasion celebrated all around the globe. 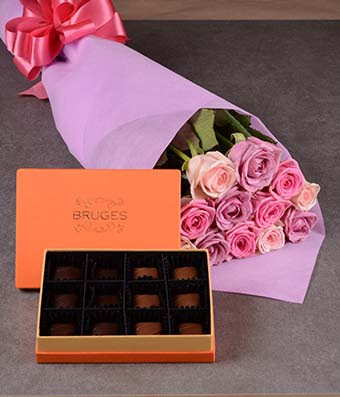 If you wish to send someone flowers, bouquets, chocolates and stuff toys in the Philippines, you don’t need to worry as we give you our most trusted flower delivery shop in the country. Even if it is not Valentine’s day like some other special occasions like Father’s day, Mother’s day and some sorrow events in life where you care to send sympathy flowers, it is possible to send flowers. On ordinary days, there are no deliveries on Sundays. So make sure to check your delivery dates. We wish to recommend our friend’s flower shop online, http://flowerscafecebu.com for all your floral needs. They deliver anywhere in the Philippines. They have been in the business for years already. Since they shipped flowers via their official courier, LBC, all flowers are packed inside a special box so it’s kept safe during shipment. Of course, flowers are guaranteed fresh when they arrived at the recipient’s place. That’s one of the perks of being a subscriber and reader of our blog. We recommend you book their high quality and imported flowers that are really reasonably priced compared to other flower shop online! You may proceed to click their Special Package box. We have been ordering through them for the past years and we end up really satisfied with the service they provide. Please note that the promo code is only valid until February 8, 2016. So hurry! Reserve and book your bouquets now to be delivered on Valentine’s day! Keep the flame of love burning! Happy hearts day 2016 in advance!